[60% OFF] 2019 Bandeau Floral String Bikini Set In WHITE | ZAFUL .. 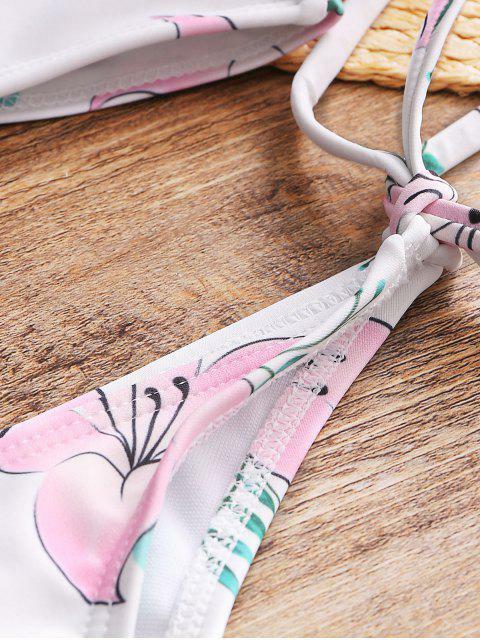 This bikini is sooooo adorable! The only problem is the top is huge! Súper lindo Cómodo y de material fantástico Se ve exactamente como las fotos. Cute way two piece bikini set in a floral pattern throughout, featuring a strapless collar with removable soft pad, cut out crossed bandage back design. Matching low waisted swim bottoms detailed in a tie side construction.